If one thing screams “fabulous”, it has to be faux fur; whether it is sewn into coats, boots or even slippers. Prior to this fur fashion season, slippers with faux fur were limited to the indoors, but this rule has been broken. To ensure that they are outdoor-friendly, rubber soles have been added to the fur covered slippers. Now in order for you to rock this look, you might want to go all-casual. For example, you can team the black slippers with a simple black vest and a pair of leggings. Faux fur shoes alone are a huge statement, so wearing them with over-embellished clothing or too many accessories would be a miss. The slippers look awesome in a monochromatic theme; i.e. the same colour head to toe (pink slippers, with a pink top and pink pants). To accessorise when wearing faux fur shoes, you might just want to put on simple studs or round hoop earrings. You can also just throw in a few bangles. Another way to take this look up a notch is to put on a pair of sunglasses; now that would instantly make you look like a few hundred bucks. For a slightly different look, heels with the same fur detail may be purchased instead. These too come in different colours and styles. You should apply the same concept when wearing faux fur heels as you would the above-mentioned slippers. The heels can be worn both semi-formally as well as casually. 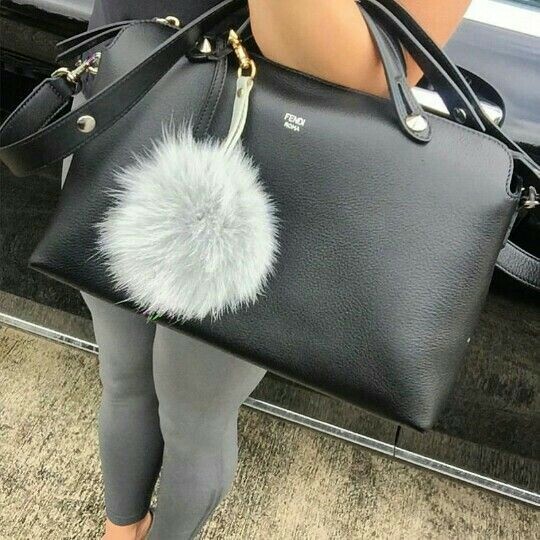 As a bonus new trend alert, I have snuck in handbags with faux fur keychains as these are a hit. 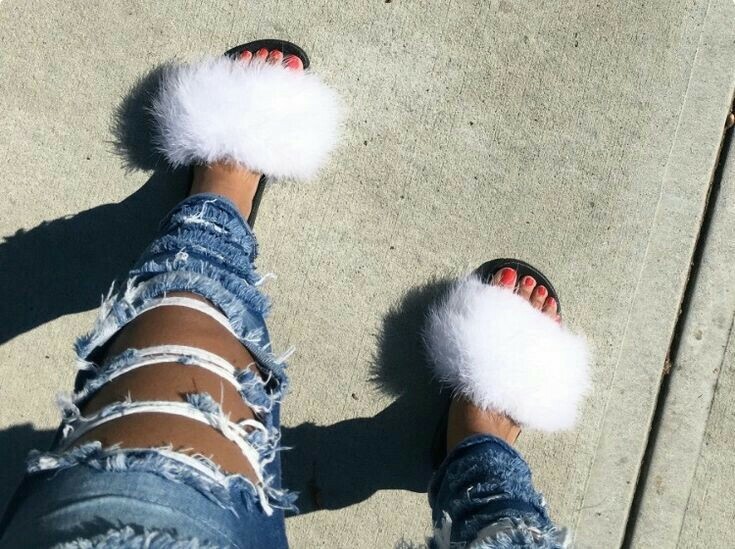 You can rock your fur bag with the fur shoes if you’re feeling extravagant. This is the ultimate classy look. If you are a “girly” girl, then this look is definitely for you. However, you shouldn’t over-accessorize. 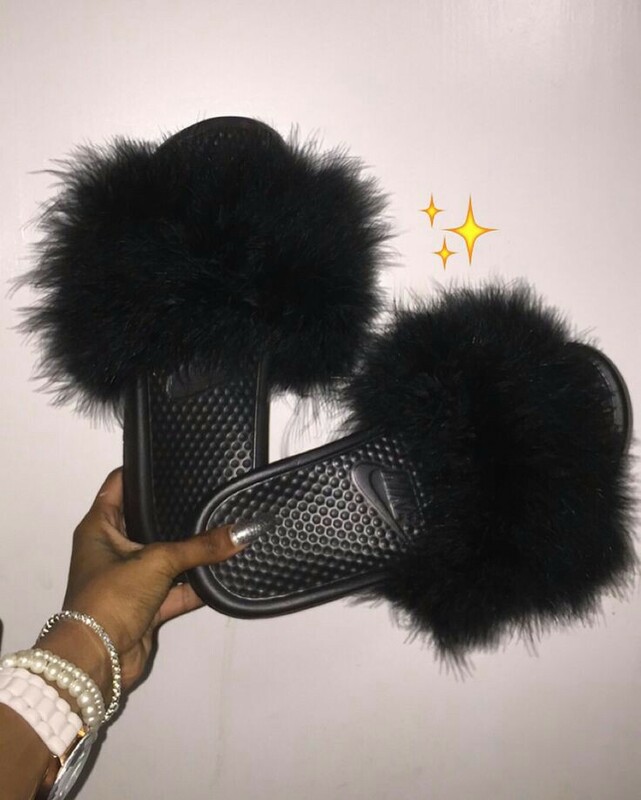 Esats Bulawayo has the chic faux fur slippers on sale at only $8. You can also find them at Mr. Price (southern Africa region) and other local boutiques.